Welcome! 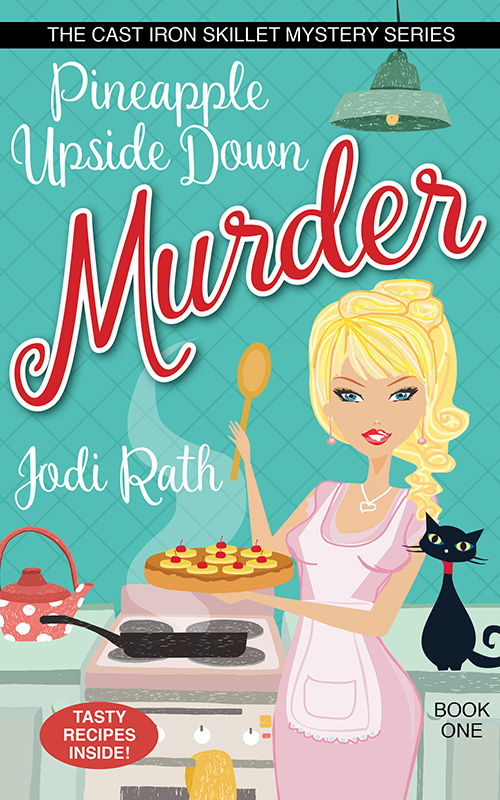 Today I’m hosting a stop on the Great Escapes Virtual Book Tour for Pineapple Upside Down Murder by Jodi Rath. The author has graciously provided a guest post so that will be first and then information about the book, including purchase links, will be beneath the guest post. Enjoy! Aching news, sciatic issues, lower back pains. This is the answer I give to all my ex-students that are so thrilled and excited to hear I am now a writer! “Yeah, I remember . . .” grumbling under my breath. Okay, okay—they don’t say “rad,” that’s my age speaking, but the dialogue goes something like that! My answer, well, you saw! LOL—see I can get down with the kid lingo too! Yes, I’ve wanted to write as long as I’ve known how to write a word. I am loving it. It is RAD! BUT, I’m middle-aged now and sitting for long periods wreaks havoc on my arthritic knees and sciatica. Oh, the joys of aging! Writing Pineapple Upside Down Murder was, to me, the greatest accomplishment of my life! I do love it; it is fun and amazing and hard and tiresome and frustrating and lots of AHA moments thrown in there too! Getting to know cozy blogger and cozy readers is EXTREMELY rewarding! I’m thrilled to be here today and wish all of you reading this a non-arthritic, pain-free day! Thanks for joining me today! If you wish to visit other spots on the tour, please click on the banner below! Welcome! Pardon me for the bare-bones. I will update with graphics later. Today I’m participating in the Great Escapes Virtual Book Tour for With a Little Bit of Blood by D.E. Ireland. Eliza is not happy when Higgins buys a snazzy roadster. Her misgivings prove correct when he becomes injured in a motor car crash. Forced to play nursemaid, Eliza is thrilled to accept an invitation to a house party from Lord Ashmore and his bride, the former Clara Eynsford-Hill. But upon their arrival at Banfield Manor, Eliza is dismayed to see her sweetheart Freddy arm in arm with a beautiful actress. Higgins is shocked to learn the woman who once stalked him is also attending the party. Things grow even worse when spiritualist Madame Evangeline arrives and warns of impending danger. Her prediction comes true when someone is killed during the following day’s shoot in the forest. Higgins and Eliza suspect it wasn’t an accident, but murder. Every guest hides a dark secret that involved the dead man. But who hated him more? The French aviator, the American cinema actress, a lady novelist, the Austrian count, or a knighted explorer of the Amazon? Madame Evangeline’s séance may reveal what is really going on. But her cryptic words deepen the mystery, especially after another guest turns up dead. I thoroughly enjoyed this book! I really like the series and am looking forward to even more! I love the chemistry between Professor Higgins and Eliza. I also love that it’s not romantic. Platonic friendships are so important and it’s so nice when the female isn’t in love with the male, they’re just friends. I don’t mind romance in my cozy mysteries, I’m just glad this one is different. The setting is a gorgeous country house. It’s an intriguing plot and I did not figure out the villain before the end. I had a suspicion but it wasn’t very strong. Something just seemed “off” about the person. All in all, a fabulous book and highly recommended!! Welcome! 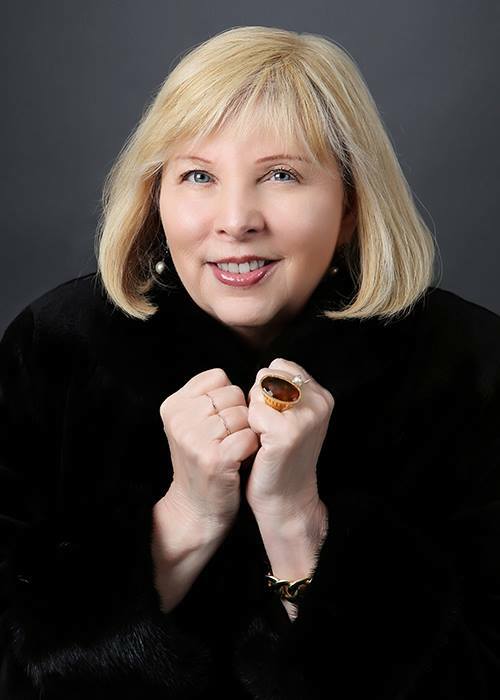 First, a huge apology to Laura Childs and Great Escapes Virtual Book Tours. I had my weeks mixed up and thought my post was next week, not this week and apparently this was supposed to be up yesterday! So I apologize for the tardiness of this post. I’m actually rather excited by this post so I’m doubly sad that it wasn’t on time. I really enjoyed this book. 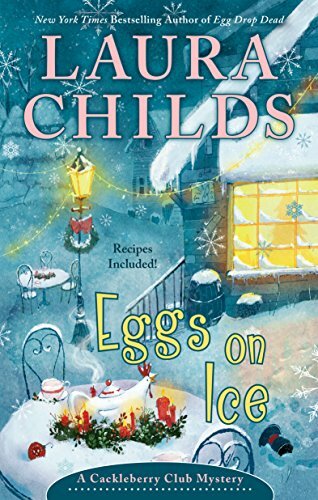 This is the eighth in the Cackleberry Club mysteries which is my favorite of Laura Childs’ various series. As the days pass the list of suspects grows longer. Is it the disgruntled partner? 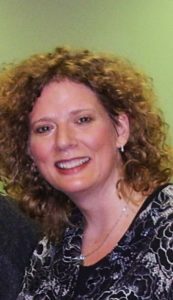 The former secretary whom Sharpe sexually harassed? Or is it fellow owner of the Cackleberry Club, Toni’s almost ex-husband, Junior? The women of the Cackleberry Club are determined to find the killer before he can add another victim to his Christmas list. Review – 4.5 out of 5 stars. This book was a lot of fun to read. I still think #7 is still my favorite of the series, but this one started off with action and never stopped. I love the characters in this series. Petra, Toni and Suzanne always crack me up and leave me with all the feels. I’d love to see more of Petra in future stories. And Junior, Junior is the epitome of the term ” “, but he’s still somewhat loveable and feels like that black sheep of the family that everyone ends up taking care of. The plot line was great and it wasn’t until late in the book that I was suspicious of the actual villain. I did figure it out before the end of the book, but there were plenty of red herrings to throw you off. I liked that with this ending, while Suzanne had been searching/chasing after the killer, she didn’t deliberately go out and attempt to literally chase the killer down. I won’t say more than that as I don’t want to spoil the ending. All in all definitely a book I highly recommend. Thank you for joining me today. My sincere apologies again for the lateness of this post. If you wish to visit other stops on the tour, click on the banner below and go to the main tour page. Good morning! I’m excited to be bringing you a stop on the Great Escapes Virtual Book Tour for Wreath Between the Lines, the seventh book in the Cookbook Nook Mystery series by Daryl Wood Gerber. I love this series so I was excited for this new installment! 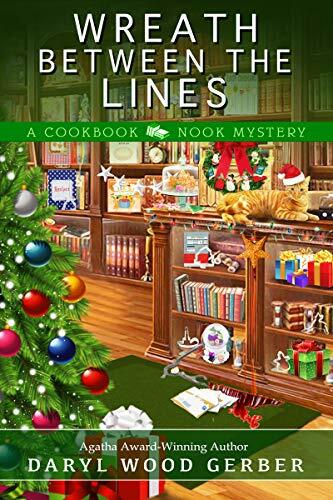 I really enjoyed this latest installment of the Cookbook Nook Mystery series. I love the series anyway, but I thought this one was exceptionally well-done. The only reason it didn’t get five stars is it just didn’t have that extra “pop” of feeling that I get with books. That’s what pushes them up to 5 stars for me. We have all our favorite characters back and a few new-ish ones. I say new-ish because they’ve always been on the perimeter, but we got to know them a little better in this book. I really like Jake and am super excited for him over the changes that happened in the end of the book for him (no spoilers! You’ll have to read it yourself!). I enjoyed seeing Crystal Cove getting ready for Christmas and their Christmas festival. I enjoyed getting to know Jenna’s niece, Lacy, a little more and hearing about her group’s performance in the singing contest. I love the name of their group too! The plot line moved along smoothly and wasn’t bogged down by insignificant or unimportant details. I did not guess the villain this time until it was reviewed. That’s always nice. There’s a lot of mysteries that I’ve still enjoyed even knowing who the villain was, but it’s always nice when I don’t know. All in all, an exceptionally well-done mystery and story. This is a series that I would definitely suggest starting at the beginning with Final Sentence, though if you read this one first, you won’t be too lost with the interpersonal relationships. Thank you for joining me today. I hope you enjoyed the post and the stop on the tour. If you wish to visit other stops on the tour, please click the banner below to go to the main tour page where there is a list of tour participants.